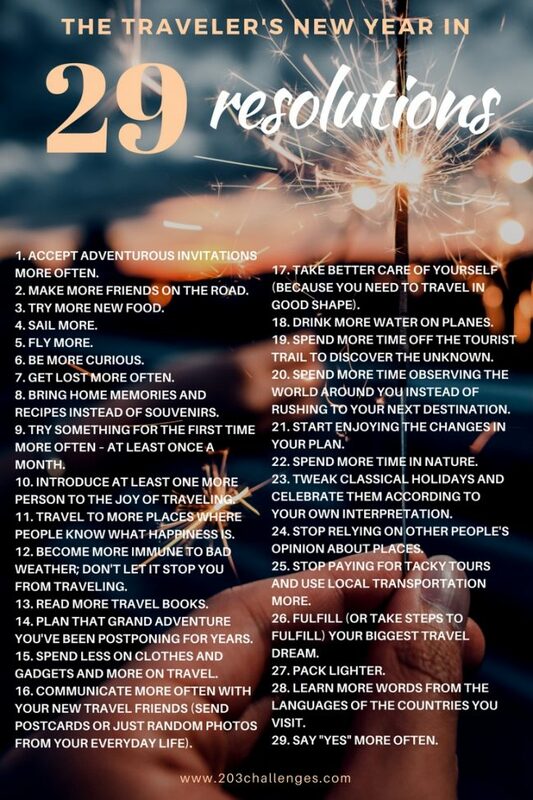 Our list of travel resolutions for 2018 – no introductions, no chit-chat, just pure challenges. 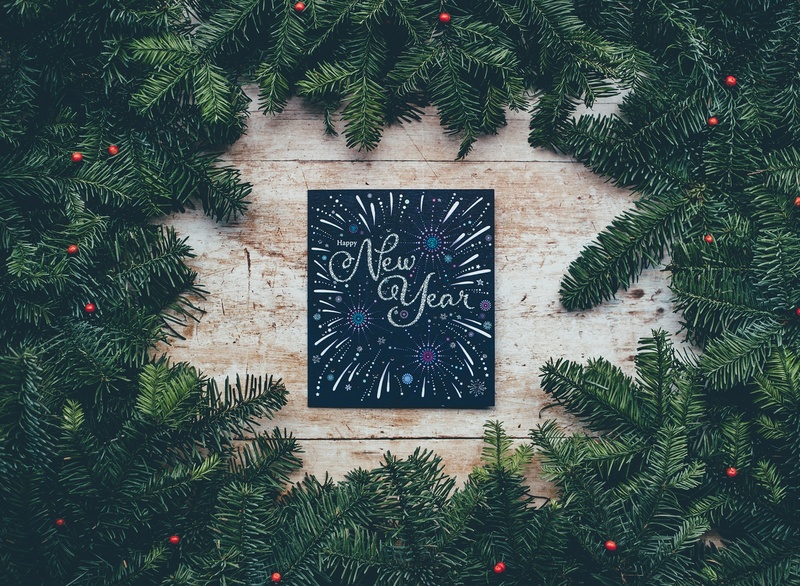 The worst thing about making New Year’s resolutions is that we forget about them by mid-January. So it’s best to print the list and hang it on the wall where you can see it every day (look for the printable version at the end of this post). Another option is to set up your calendar app so that it sends you a link to this article every month as a reminder. 1. Accept adventurous invitations more often. 2. Make more friends on the road. 3. Try more new food. 7. Get lost more often. 8. Bring home memories and recipes instead of souvenirs. 9. Try something for the first time more often – at least once a month. 10. Introduce at least one more person to the joy of traveling. 11. Travel to more places where people know what happiness is. 12. Become more immune to bad weather; don’t let it stop you from traveling. 13. Read more travel books. 14. Get more organized and plan that grand adventure you’ve been postponing for years. 15. Spend less on clothes and gadgets and more on travel. 16. Communicate more often with your new travel friends (send postcards or just random photos from your everyday life). Start right now. 17. Take better care of yourself (because you need to travel in good shape). 18. Drink more water on planes. 19. Spend more time off the tourist trail to discover the unknown. 20. Spend more time observing the world around you instead of rushing to your next destination. 21. Start enjoying the changes in your plan. 22. Spend more time in nature. 23. Tweak classical holidays and celebrate them according to your own interpretation (check out our unusual Christmas travel ideas here). 24. Stop relying on other people’s opinion about places. 25. Stop paying for tacky tours and use local transportation more. 26. Fulfill (or take steps to fulfill) your biggest travel dream. 28. Learn more words from the languages of the countries you visit. 29. Say “YES” more often. 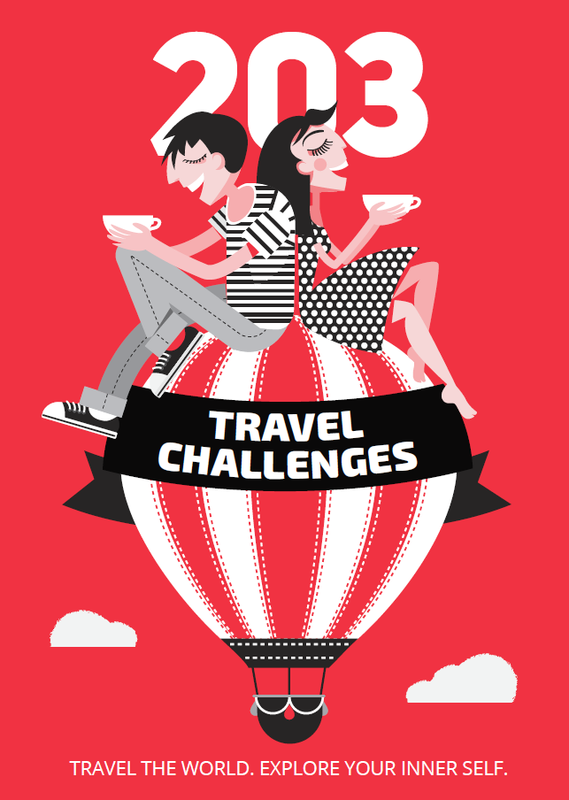 How many of 2018’s travel challenges have you completed so far?